A beautifully handcrafted playtent for little adventurers. 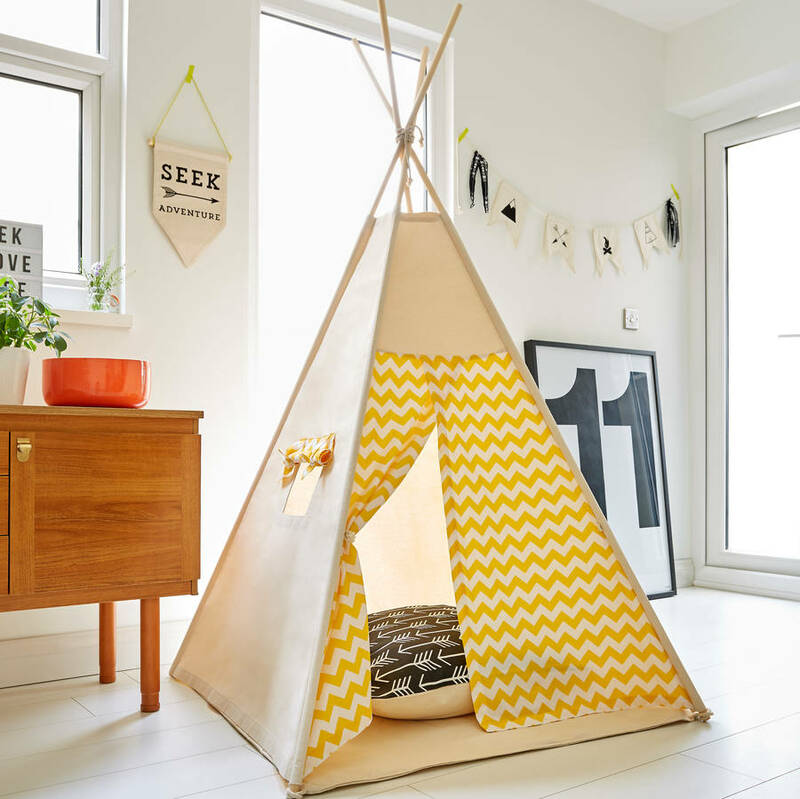 The perfect setting for imaginative play, this teepee is as good to look at as to play in. 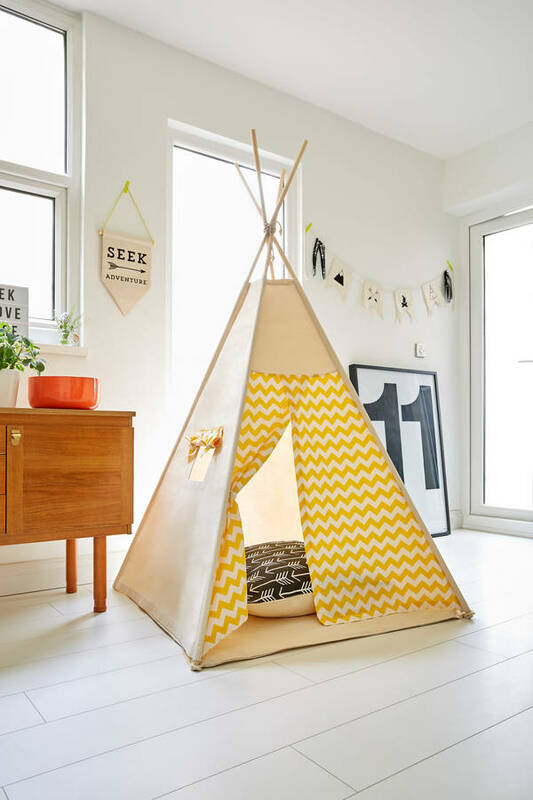 As they grow up, the teepee grows with them and becomes the perfect den for settling down with a favourite book or chatting with a friend. The timeless design of the teepee and the accents in the fabric will be loved by all ages. And of course, its just perfect to climb in with blankets and cushions for a bedtime story. Easy to put up and compact to store, each teepee comes with poles, pole tie and storage tie. Available with the addition of a window with roll up blind and with an optional detachable and washable natural cotton canvas playmat. A floor cushion (65cm x 65cm) in either the yellow chevron or monochrome arrow print can also be added to your order. Wooden poles are FSC certified redwood pine. All our teepees come with 4 x structural poles and 3 x base poles. The base poles can be inserted into specially made channels at the bottom of each side and back panel to offer additional rigidity. The teepee can be used with or without the poles and they are easily inserted and removed when putting the teepee up or stowing away. This product is dispatched to you by LittleMe Teepee.